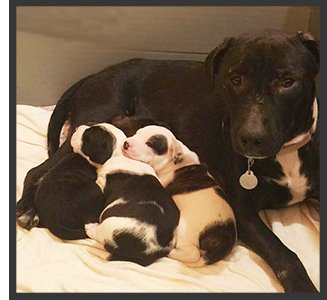 Your automatic monthly donation provides dependable income, allowing us to go the extra mile for homeless and abused animals — animals like Hope, found caring for herself and 7 puppies in an abandoned barn. Thanks to monthly gifts like yours, we were able to help them get the critical care and nourishment they needed immediately. Becoming a monthly Sustainer is easy and convenient. Plus, these great benefits are exclusively yours! To make changes to an EXISTING Sustaining Gift, please visit our Gift Service Center. You'll receive monthly emailed receipts. Would you also like an annual statement mailed to you? Yes, I'd like an annual statement mailed to me also. No, thank you; I don't need an annual statement. New sustainers receive a $10 HSHV gift card. If you'd rather donate it back, please check the box. Thank you; I'd like to donate my gift card back to help the animals. Yes, I would like to receive HSHV's monthly email newsletter, Animail, and other important information.